Wasabi ginger chips were a New Jersey nurse's $1 million idea. 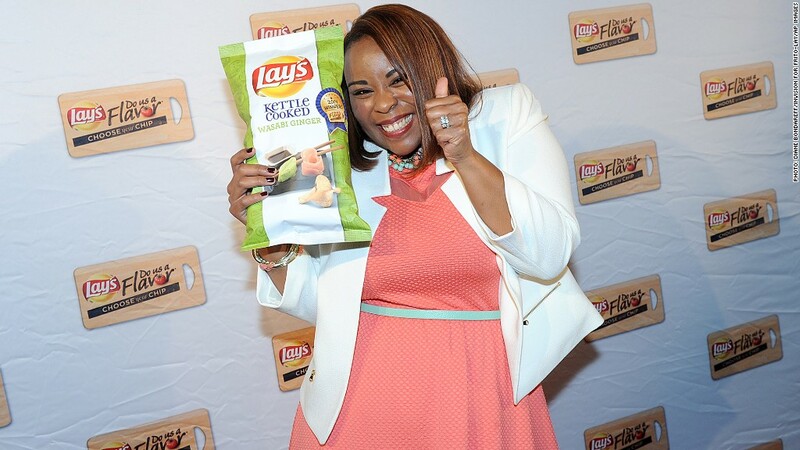 Lay's announced Tuesday that Meneko Spigner McBeth won its social-media driven "Do Us a Flavor" contest and its million-dollar prize. She might get more if her flavor sells $100 million worth by July, in which case she gets a 1% cut. She found out her good fortune Monday night at a dinner the company held for finalists. A Lay's statement attributed McBeth's inspiration for wasabi ginger to a sushi fixation sparked by her grandmother's handmade rolls. Three other flavors — cappuccino, mango salsa, cheddar bacon mac & cheese — had been finalists in the contest, and each of the runners-up behind them will get $50,000. A spokeswoman for Lay's, a unit of PepsiCo (PEP), said about one million votes were cast but didn't break out how many votes each flavor had gotten. The other flavors will remain on store shelves until they sell out. 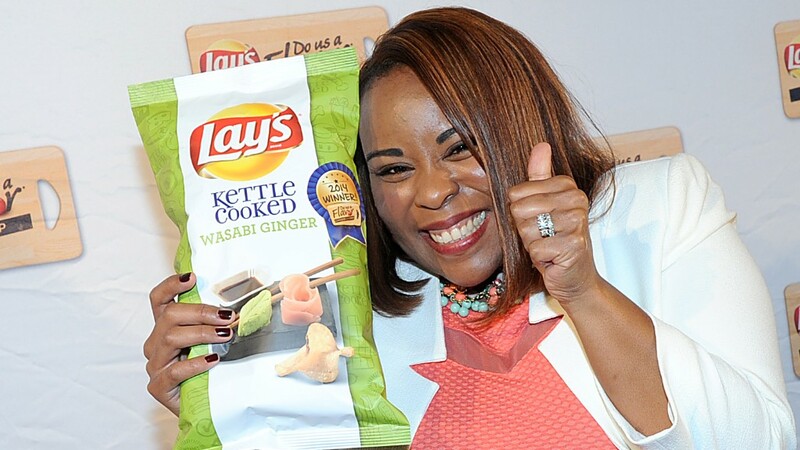 Ginger wasabi will be in stores until at least July, when Lay's will evaluate whether to keep it. Lay's is still selling the last winner of a flavor contest, cheesy garlic bread, which won in May 2013. The company said there were more than 14 million submissions for the contest. Meneko Spigner McBeth, of Deptford, N.J., celebrates her victory in New York on October 20.